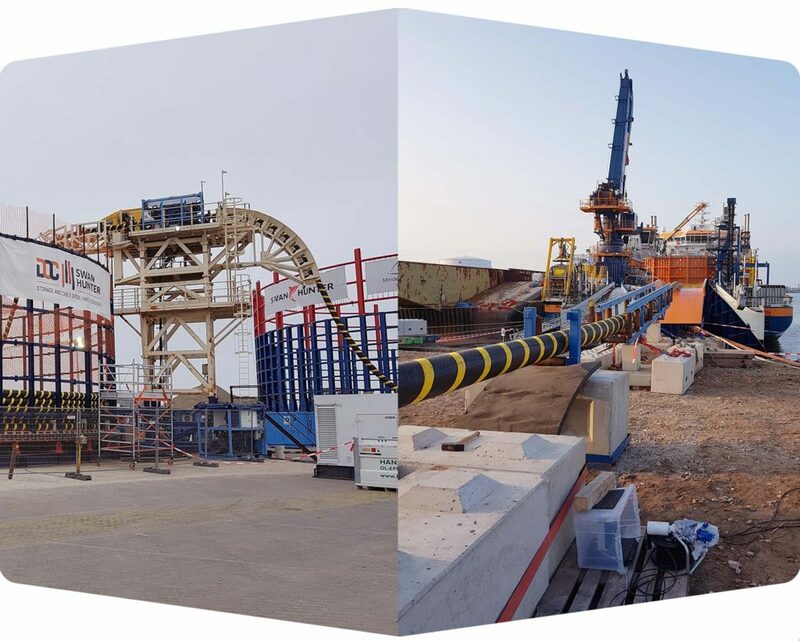 During a busy summer for cable storage and spooling services, Swan Hunter have successfully completed the loadout of Norther Offshore Windfarm Export Cable onto Van Oord’s Nexus cable lay vessel. . Approximately 29km of HVAC export cable, totalling 3150Te, was spooled onto the Nexus vessel from the DOC-Swan Hunter Cable Storage and Spooling yard, Vlissingen, The Netherlands. The export cable was spooled in to the onshore storage carousel earlier this year in Q2 2018.